Kids always create from who they are in the best way they know how. 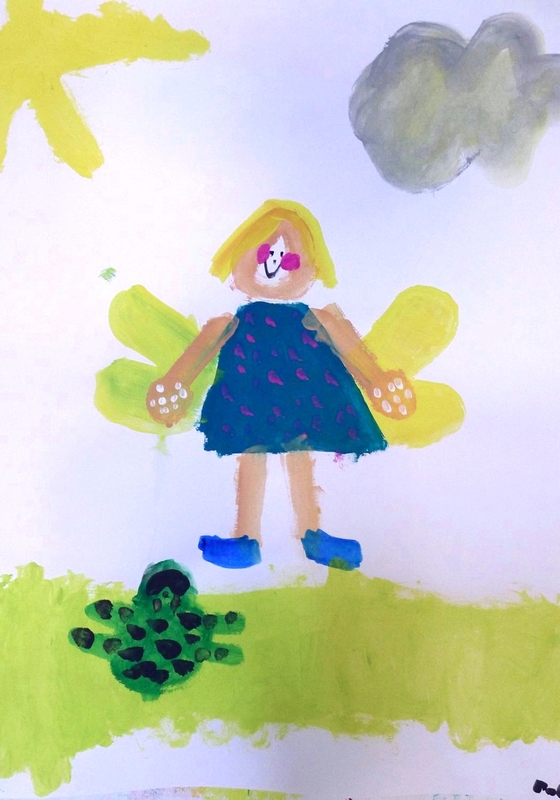 The beauty of children's art is in the innocence, truthfulness and freshness of what is created. If we judge children's creativity as a product, a picture to be hung, instead of experiencing freedom children will experience tension, instead of enjoying an adventure, they will feel as if creativity is hard work. With process painting, the pressure for performing is removed and intuition and spontaneity are encouraged. Here, creativity is used as a tool to enhance painters’ lives with an increased sense of self, the ability to problem solve and a freshness and joy for participating in life. Using professional grade tempera paints, Aziza offers a supportive environment for creative freedom, invention, and adventure with paints. This way of painting encourages each painter’s unique creative expression and focuses on the process rather than the finished painting. Paintings are not critiqued or compared and painters agree not to comment on one another's paintings. Below, following the gallery of images, you can watch a short video of kids painting in a classroom.